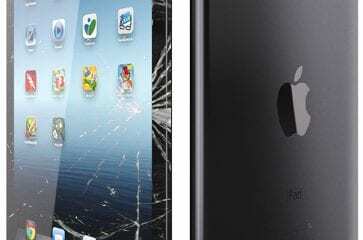 When speaking to schools about iPad leasing, a main concern is always breakages. 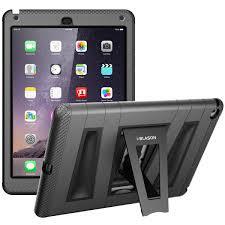 That is why at HardSoft we offer FREE accidental damage cover on all of our iPad leases. To negate the amount of breakages schools have also took the decision to give FREE covers with all of our leases too. Deciding on which case to go with has been a long process for us, this blog will take you on our journey to help you decide which case is right for you. To start with, our main aim was to get the devices protected. Robust tough cases are a big market and we went with the Griffin Survivor. Retailing at around £35 this is by no means a cheap case, especially when you are supplying hundreds. The makers boast that the case protects your device when drops from a 2 meter height is weather resistant and made from heavy duty military standard protection. We have found that there are very few breakages with this case, although it has been far from perfect. When purchasing these cases we were considering our own needs, they have not translated so well in to the needs of the customer. These large rubbery cases add a lot of weight to the device. They are also dust and sand proof, therefore every port is covered with a rubbery plug. The one for the camera is fully removable, feedback was that they were quickly lost. The other port covers were difficult for little hands to remove and the the speaker one, although could be spun around to keep if off but not fully remove it, propped the device up at the end. There is a helpful kickstand supplied but this is also remove able so can be misplaced. I visited a school recently who after a year of use barely had any left. The design of the kickstand means that it can put on either side of the device but as the screen spins I do not think this is an innovative design. 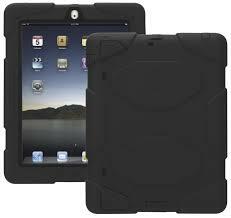 In conclusion, this case is great for keeping the iPad safe but a little too robust for schools. Many staff are also afforded iPads to use in schools, we have had many requests to supply a range of cases which are not so heavy and hard to handle. After extensive research we decided upon the Maroo leather case. It also retails at around £35 and comes in a range of colours. The case is sleek and has a smart carry handle. 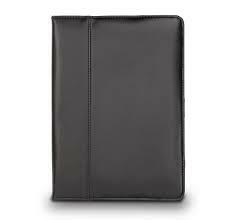 The front cover is magnetically attached so easy to use and has a interior pocket flap for storage of cards and papers. Although these look great and protect against breakage enough for an adult. Unfortunately, we we have had a number of them literally falling apart. As a case for teachers this is not durable enough for the daily usage, it is very disappointing for the price tag. More recently, we have been supplying the i-BLASON cover. 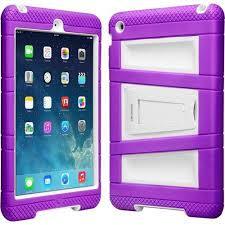 This is a durable yet lightweight product which comes in a wide range of bright colours for all model of iPad. It is designed specifically with kids in mind and with a £20 price tag they are cheaper than the Griffin case but retain the helpful features. The inner stiff shell once clipped together is very difficult to get apart, this is helpful when students try to liberate their iPad.The soft rubbery outer cover is fun and bright but also protects against breakage when dropped. The buttons remain easy to push with it on and there are no port covers. The cover comes with a great built-in kickstand which cannot be removed and lost. There is a built in screen protector which is not a flimsy sticky piece of plastic so you do not need to worry about air bubbles when attaching. Functionality is not impeded although it offers excellent protection. All in all, we think that the i-BASON case is meeting all of the needs of our school customers and has been very well received. The bright colours are especially helpful for splitting up iPads in to groups. The case does not get dirty easily and as it is so slim, does not take away from the portability of the device. The breakages have been minimal since switching and as always we have collected, fixed and returned damaged iPads within 48hrs with no cost to the school. Along with FREE accidental damage and cases, we also offer FREE technical support . The freebies do not end there… at HardSoft we offer all schools a number of FREE training sessions which are followed up by your dedicated member of staff on the education team. They are available for help and support throughout the duration of your lease.